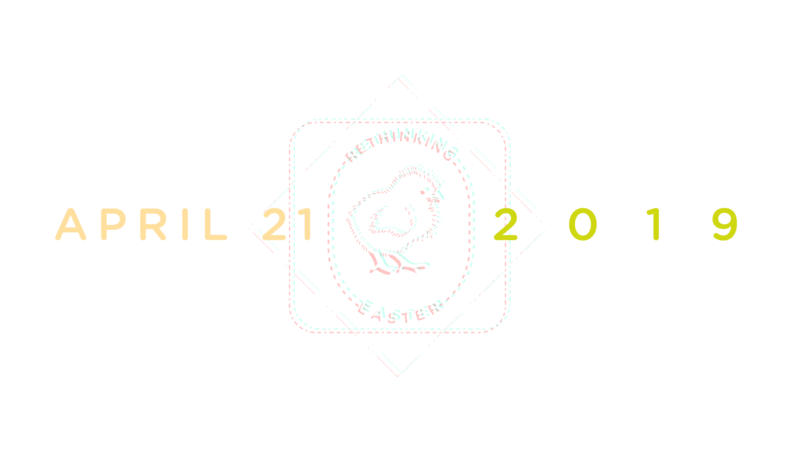 You might be asking yourself why you have been invited to something at a church that says RETHINKING EASTER. If you grew up in the south, you may have been to church before or you may have never walked into a church in your whole life. We all find ourselves rethinking different aspects of our lives at different times. You may be rethinking your job, your relationships, decisions that you have made, or how to move forward in life. One thing is true about all people no matter what you find yourself rethinking in life, and that is that we all long to know what our purpose is. We would love you to join us on Easter Sunday as we RETHINK the importance of what Jesus did for people like you and me. Jesus made it possible for us to know our purpose and to know how to be in relationship with him. No matter what service you attend, you will discover an exciting expression of Worship and Unity as we study God’s Word under the leadership of our pastor, Dr. Don Wilton. Whether you choose to gather in the Sanctuary of the main building or the Hangar Auditorium, you will join into a live-synced worship experience with the Sanctuary Choir & Orchestra, Praise Team in the Sanctuary and the live band in the Hangar. In Genesis, we combine beauty and creativity through lights and sound. Join our Genesis Worship Band in singing modern worship songs in an exciting and inviting atmosphere. Every Sunday in Genesis is a true outpouring of praise! Let’s relieve some pressure—Dress the way you like to dress. You’ll see everything from nice suits to t-shirts and shorts at FBS, and we wouldn’t have it any other way. Dress up if you like, but don’t feel pressured to look a certain way before you enter worship. The Lord Jesus was a homeless man (Matt 8:20), and most likely didn’t have a closet of nice suits! What is the music like? And the message? Depending on what service you attend, the music style will vary, but the central heart of worship will remain the same! It’s all about Jesus Christ. Our pastor, Dr. Don Wilton, is a regular person with a story to tell just like you or me. Originally from South Africa, Dr. Don and his wife Karyn have been proud American citizens for decades, and share a worldwide passion to share the Truth of the Gospel with a searching world. Dr. Wilton has seen a lot—youthful days of driving around Africa on a “motorbike”, serving as a tank commander, traveling to the USA as a newlywed with only a suitcase to his name, graduating and becoming a professor at New Orleans Baptist Theological Seminary, traveling the world to give tours of Israel and the Holy Land, serving as personal pastor to Dr. Billy Graham—but his reminder to you and me is that the most important aspect of his life is Jesus Christ. Join us Sunday! If you have children (birth – sixth grade), we have a fun, kid-friendly place just for them! They will experience ‘LIFE Groups 4 Kids’ offered during each worship hour, and KIDWORSHIP for 4 and 5 year olds. I just don't think my life is right for church. Not true! From the guy in the pulpit to the smiling face at the door, we’re all somewhere on a journey with God. Has yours started? We’re just beggars telling other beggars where to find food—in the Lord Jesus. Nothing in your past, present, or future is too big for God to get you through. Join us this Sunday, and let God speak right to your heart. Challenge God. Show up and ask Him to show up in a real way in your life. Talk to Him right now! Remember, you don’t have to walk into a church building for Him to hear or see you. The God of the universe is a word away. Talking to Him is the most important thing you can ever do. At FBS, you’ll see the slogan “In Christ More Is Possible Than You Can Ever Imagine” posted on walls, and all over our website and media—That’s because we believe it. Join us Sunday and see what Jesus does. In Christ more is possible than you can ever imagine.